A trip to the beach always means beach birds. Much like the Black Skimmer in the top picture, they seemingly stand by the water’s edge ready to meet and greet beach visitors at the first light of day. Informally we call them gulls, terns, plovers, sandpipers and more. 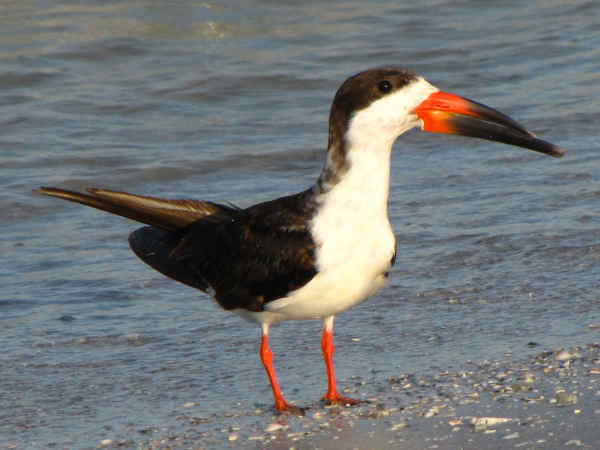 Formally they group together as water birds, (order Charadriiformes) and they not only share the beach with humans, they also share many freshwater shorelines with them from coast to coast. This special covers representative species of shorebirds such as gulls, plovers and sandpipers for help with basic identification questions. According to the American Birding Association (ABA), Charadriiformes divided into ten families and 172 species. Taking into consideration the ABA’s total species count of 969 North American birds, our favorite beach birds constitute 17.75% of the total number of North American birds. Most casual birders rightly associate common families such as the sandpipers (Scolopacidae) and the gulls (Laridae), with their trip to the beach. That makes sense because they account for roughly two-thirds of all shorebird species. 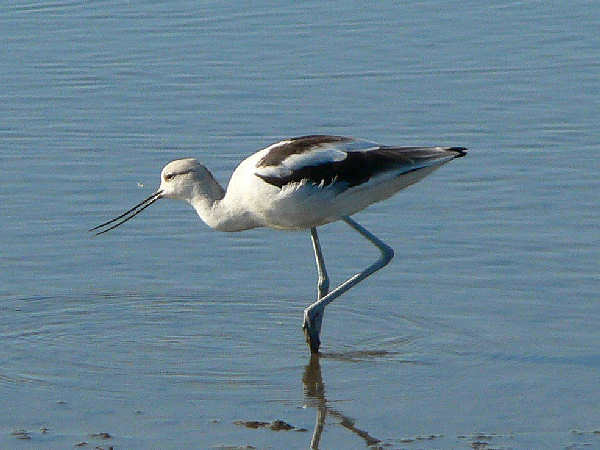 Shorebird diversity extends to other species with common names such as plovers, stilts, avocets, snipes and oystercatchers. With the rare visit of the Eurasian Oystercatcher (Haematopus ostralegus), North America officially hosts three oystercatcher species. In addition to oysters, they all feed on mussels and other shellfish found in their territory during low tides. 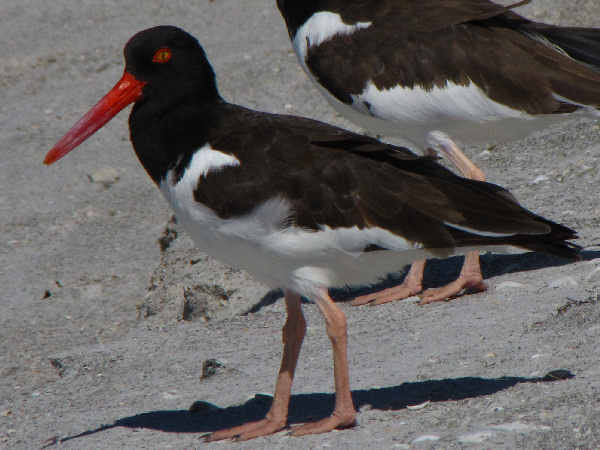 The more widespread American Oystercatcher (Haematopus palliatus) lives along the coastal areas of the Atlantic Coast and Gulf of Mexico. Baja California hosts a year round population on the Pacific coast, just south of the traditional North America boundary cut off point. Many of the native eastern species also reside year round in one location, with the addition of a migratory population for some of the more northern breeders. The Black Oystercatcher (Haematopus bachmani), the West Coast species, lives and breeds in a very narrow range along rocky coastlines. They can grow to over two feet in height, and their black feathers and bright orange bill make for very easy field identification. Sleek bills and long legs characterize the two native North American Recurvirostridae species. First up, the American Avocet (Recurvirostra americana), a fairly large (two feet) shorebird of western salt and fresh water habitat, depending on the season. They breed in freshwater areas and gather along beaches during the winter season. During breeding season the head turns to rust or reddish color, making them a popular shorebird to observe and photograph. 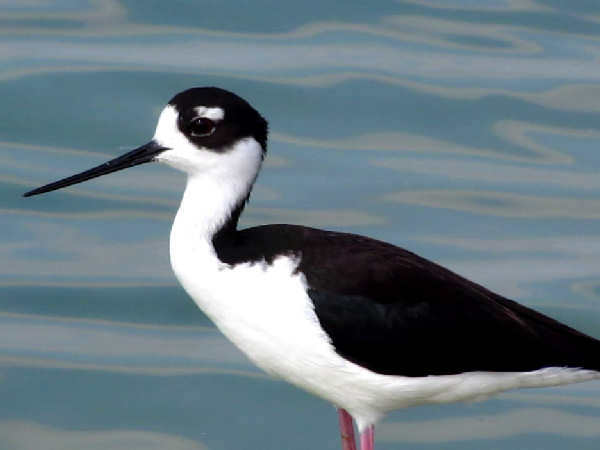 Black-necked Stilts inhabit a variety of waterways along the West Coast, Gulf Coast and South Atlantic Coast. Their long red legs and black and white bodies make easy to identify in the field. Like the Avocet, they are colony nesters. Both parents participating in care for the young. Both can be fairly loud and defensive when intruders invade their nesting territory. Like many shorebirds, black-necked stilts feed opportunistically, consuming the insects and aquatic organisms within their territory. Although the Hawaiian population is considered imperiled, the continental population is considered fairly stable. Reports of a Black-winged Stilt (Himantopus himantopus) flying off course and landing in Alaska, on very rare occasions, brings the total North American Recurvirostridae species count to three.